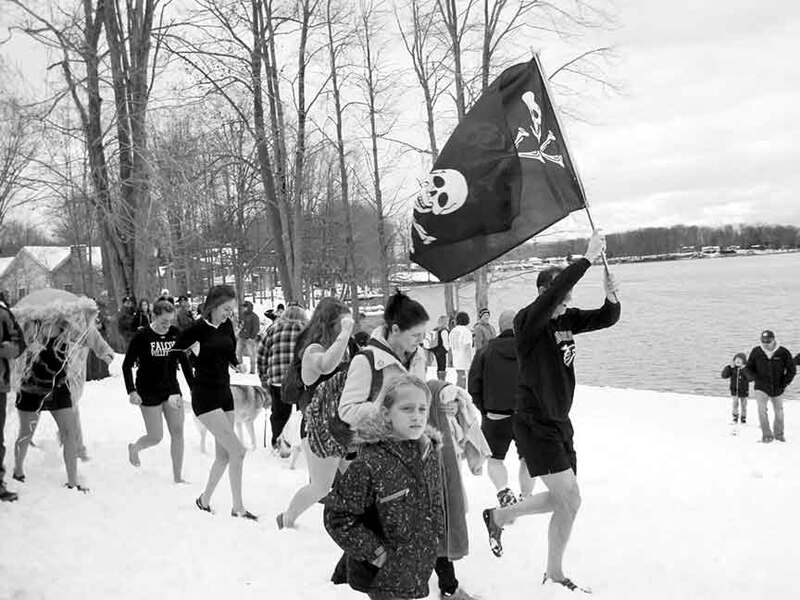 According to Chris Plickert, this year will mark the Shores’ 14th year since holding the cause and will include registration at 1 p.m. and the plunge itself at 3 p.m. that day for both Roaming Shores residents, along with students from Jefferson, Grand Valley and Pymatuning Valley school districts. The cost requires that the jumpers raise $55 a person. Proceeds are set to benefit the Roaming Shores Breakfast with Santa, the PV Jeffrey P. Meddock Scholarship and Jefferson Academic Boosters fund, as well as will go toward student programs in memory of Plickert’s daughter Emily. In addition to the chance to watch or participate in the plunge itself, Plickert said the afternoon will also include music from D.J. Doctor D (who donates his time to the cause), the chance to greet Joey the Polar Bear mascot, along with the opportunity to enjoy hot dogs, hot chocolate and coffee. Many sponsors will also be present or offer their support to the cause as well, including Rome Rock Marina, Paradise Bay, Hickory Grove Golf Course, Smolic Tire and Colucci’s Pizza of Jefferson, plus Ashtabula Cold Water Dive Team, South Central Ambulance District and others will be offering their support in regards to safety. After the jump ends, trophies will be awarded to the school with the most jumpers, as well as to the school that raises the most money toward the cause. “Not everybody can do it,” said Plickert. “I’ve only done it 13 out of the 14 years because I was sick last year, but people have this sense in being glad they’ve done it or they’ll never do it again. Schools always receive a huge benefit from it, too. Anyone interested in being part of this year’s Polar Bear Plunge, Plickert encourages them to get there early as it often gets busy right away. For further information about this year’s Polar Bear Plunge, please contact Chris Plickert, Shawn Morris, or Gail Zirkle. Jefferson Area High School staff and students on their way into Lake Roaming Rock Dam in March of 2018 within Roaming Shores. This year’s Polar Bear Plunge is set to take place on Saturday, Feb. 23, at 3 p.m.